Published my first blog on the 25th February 2014, following that I’ve publish 65 posts. My objective was to get read, never thought I would get some many followers, retweets and meet so many interesting people. Back then I didn’t really understand what community meant, I do now. But the time has come to move on. Wednesday 5th August, will be the day I cut new blog and a new adventure. I’m hoping you will stick with me. 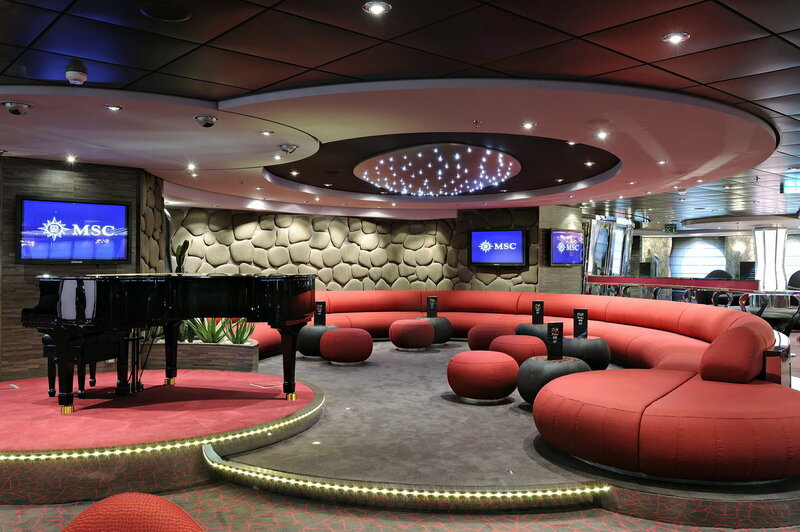 socialsaleslounge.com Will be the same me, writing about Social Selling and as I’ve always written. No fluffy, meaningless slogans, but real solutions you can implement to over achieve your number, quicker. My partner in this new adventure @Mbrit will make his own contributions as well has support the venture from a technical nature. Do hope we can count on your support. 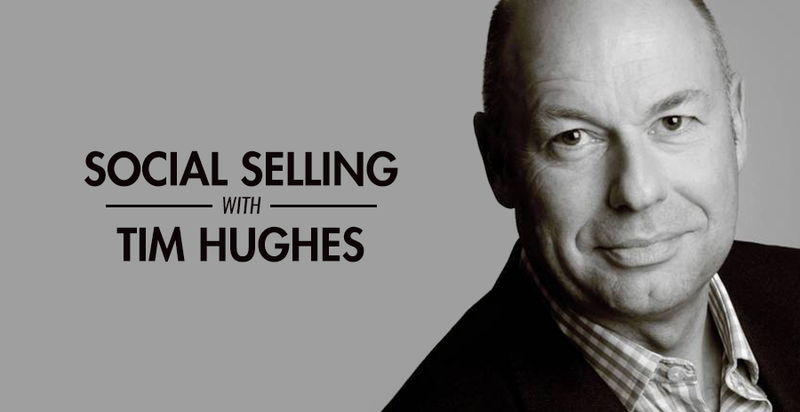 Tim Hughes is a Social Selling Innovator and Pioneer his blog has become a reference point for Sales People throughout the world to get hints and tips to get into Social Selling; Newbies and Influencers alike. Tim’s 27 years as a quota carrying salesperson, means he cuts the fluff and speaks in a no nonsense style. The blog is not about slogans but about how you can use Social to allow you to over achieve your quota, quicker. 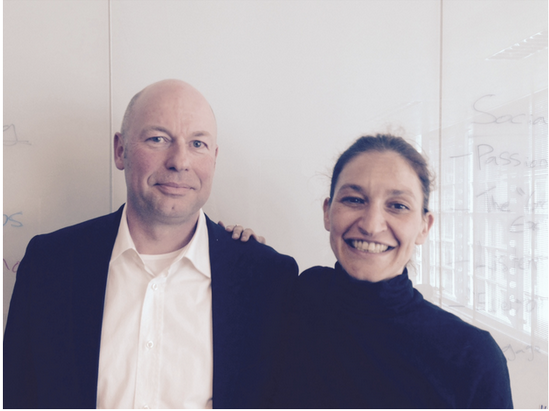 Influence Marketing software company Traackr interviewed me on Social Selling and the use Of Influence Marketing. @delph003 EMEA Marketing Manager for Traackr asked me a number of questions and we chatted for such a long time that we split the interview into 2. This is part 2. 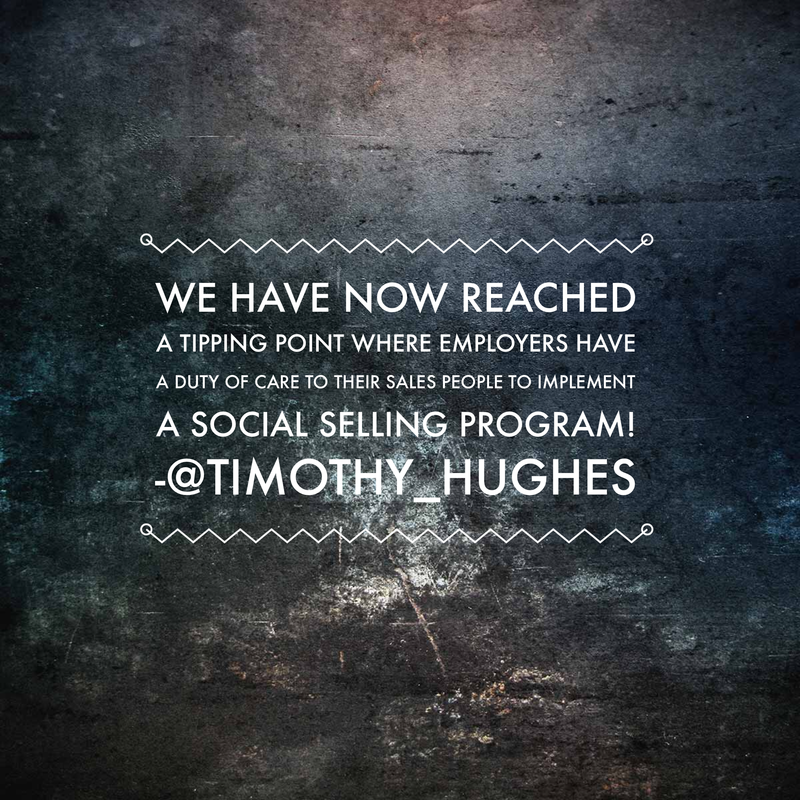 Q1 – What is the role of marketing for social selling success? Q2: How can influencer marketing support social selling efforts? Q3: Where do you source your best content? Would be interested in your comments. Have you come across something similar? @delph003 EMEA Marketing Manager for Traackr asked me a number of questions and we chatted for such a long time that we split the interview into 2. This is part 1. Q1: How has social media impacted the sales process? Q2: How do you see social selling evolving over the next few years? Q3: How did you become such a social selling influencer? 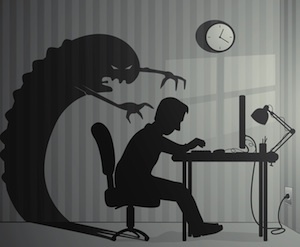 The term “shadow IT” has become more prominent over the last two years as Public Cloud has become more and more the choice for business leaders. Talking to a Sales Leader of a FTSE 250 company as part of a Social Selling presentation was enlightening and interesting. This Sales Director had a business requirement which was not available though standard functionality in their CRM system. They went to the IT Department and asked them to build something. The IT departments recommendation was to “knock something up in Sharepoint“. The business leader said, “No, we need something that the sales people will use.” After multiple iterations between the Sales Leader and IT, the Business Leader got a local start up to come in and pitch ideas. The start-up got the business. The agreement is that the start-up will do the development and then will sell the software as an off the shelf application. It was emphasized, That IT just could not step up and provide what the business wanted. I’m sure your IT department is not like that, but for CIOs, this could be the start of a worrying trend. Would be interested in your comments. Have you come across something similar? is this a one off? What do you think about Shadow IT is it growing or shrinking? 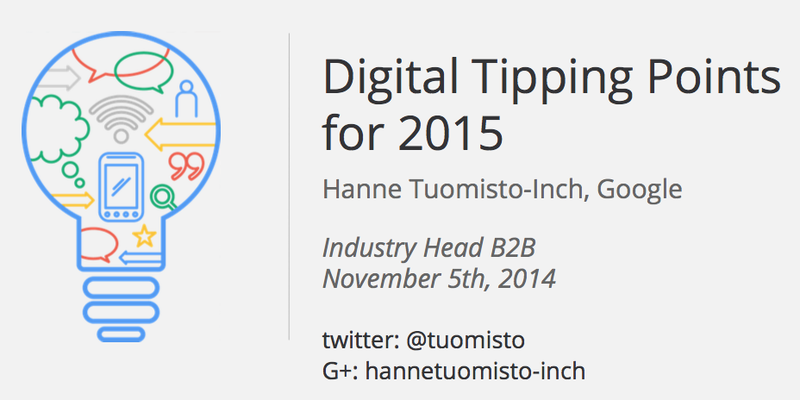 November 5th 2014, Google published a report “Digital Tipping Points for 2015” written by @Tuomisto my blog is based around the findings. Millennials Don’t Make the Decisions in My Accounts the C-Suite Do! Hopefully if you’re a regular reader of my blog you will know that people have or are in the process of switching to digital and mobile. 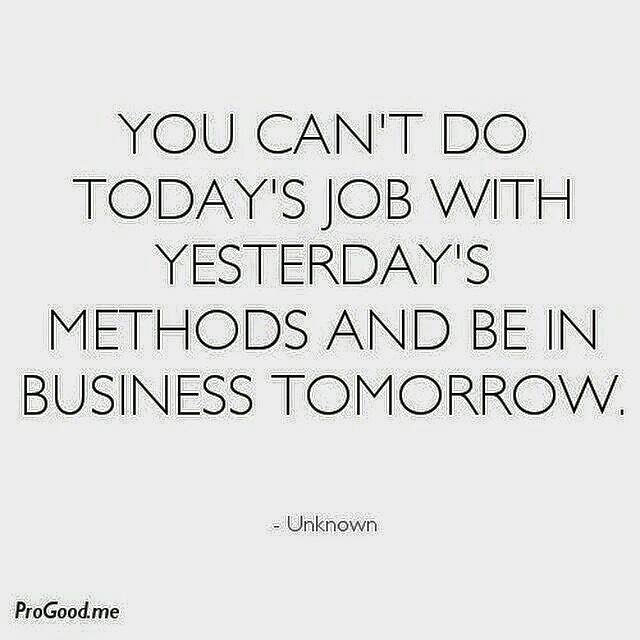 But many of us are wedded to the fact that the C-Suite make the decisions in our accounts and while (in our sales roles) we should always target them, as the world changes, there are other influences impacting in our accounts. Forrester talk about 22% of B2B Salespeople being replaced by search engines and Youtube videos by 2020. In that blog I explain you have to “Move Up, Move down or Get Out” of your Sales role. Using Google research I’m going to explain how decision making in your accounts has shifted. The number of people using Digital as a method of finding information and researching has increased from 71% in 2011 to 89% in 2014. Not sure about you, but if I’m going to buy pretty much anything I go to Google and type some words in, refining my search. The C-Suite Still Make the Decision, Right? 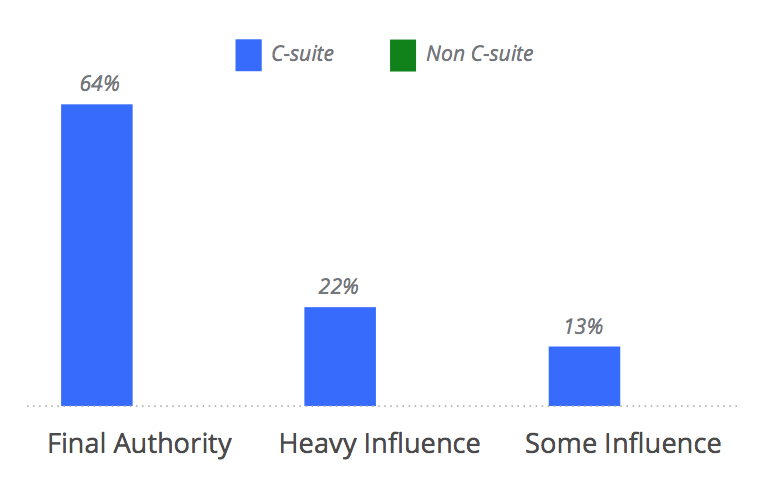 If you look at the research from Google, the C-Suite have Final Authority on 64% of decisions. 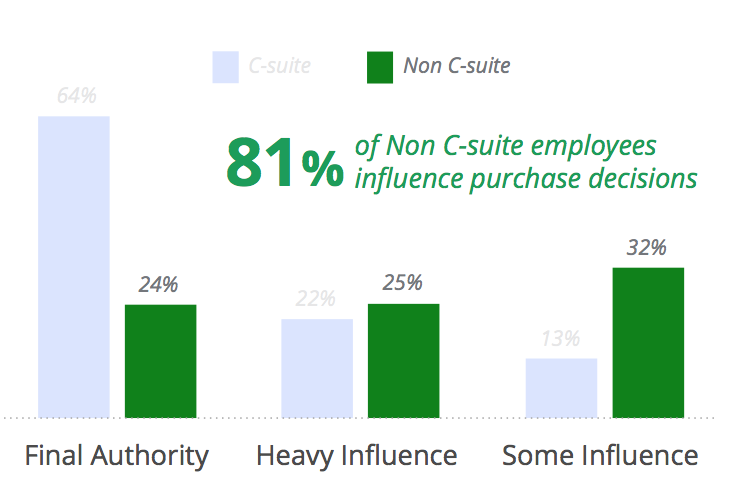 But layer on Non C-Suite Decision making and you can see that non C-Suite can have influence on 81% of Purchase Decisions. How can that be? It maybe that the C-Suite have signed off an overall project budget, but the components of that project are passed / delegated down the organisation to “People in the Know”. For example, there might be an overall Customer Experience Transformation project, but the individual software components that make that up, are purchased lower down the organisation. 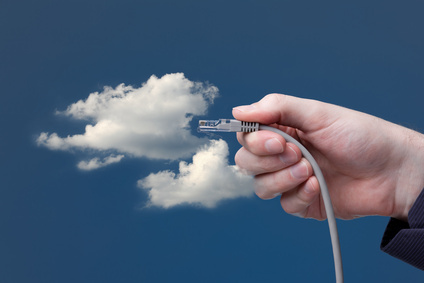 Add to that in the new world of SaaS / Cloud, as software can be switched off as quickly as it’s switched on and short timeframes of implementation, there may not be need for traditional IT involvement. 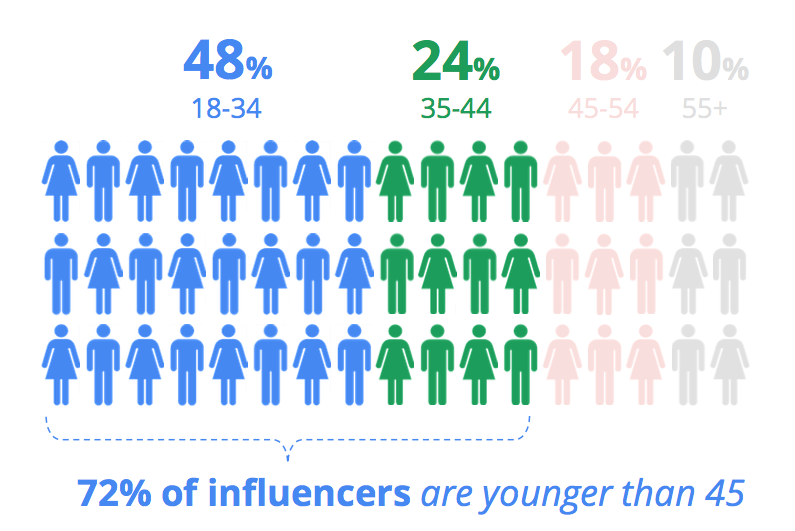 Based on Google’s research the “people in the know”, 48% of them are 18- 34 and 24% are 35 – 44. 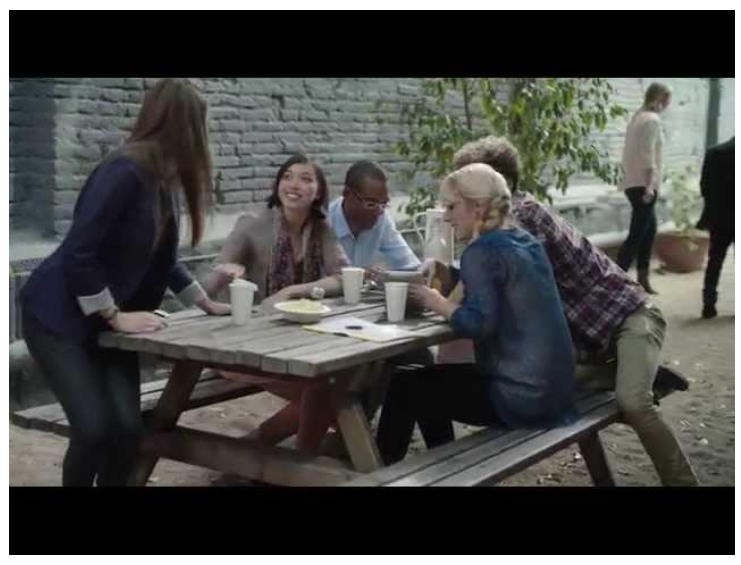 This is placing B2B Enterprise decisions in the hands of “Millennials”. In What Way are Millennials Involved in the Decision Making Process? Using Google’s research Millennials are digital natives, their first computer was probably a mobile phone. They are confident using mobile, in fact probably prefer it, when they do research on potential suppliers it is self-directed. Google research also states that they are probably 57% of the way through a decision cycle before contacting suppliers. Google also state that a researcher will do 12 searches until that point of engagement with a supplier. Content that will be consumed includes video, blogs, customer comments etc. Traffic to B2B websites has doubled in the last 2 years and this is because they have become a central point of research for potential customers. If we go back to our own purchasing habits such as looking for a local plumber. We might, search on the web, we also might seek references from friends, neighbours or relatives. As we are all busy people, having a short list of more than 2 or maybe 3 is going to cause us a lot of work. So while we might want to get “several quotes” that is a lot of time I need to invest, when I probably know which plumber I want to use from a short list of two. Google found something similar for B2B purchases. 60% of customers only consider 2 brands, maybe your internal Purchasing department place on you the need to look at 3, for due diligence purposes. Many organisations have an supplier option on a short list that nobody intends to use, just to make up the 3. In Google’s findings they found that people often search by Brand and not product or process. Note to self: It would be good to scoop these searches at the point of search on Google. 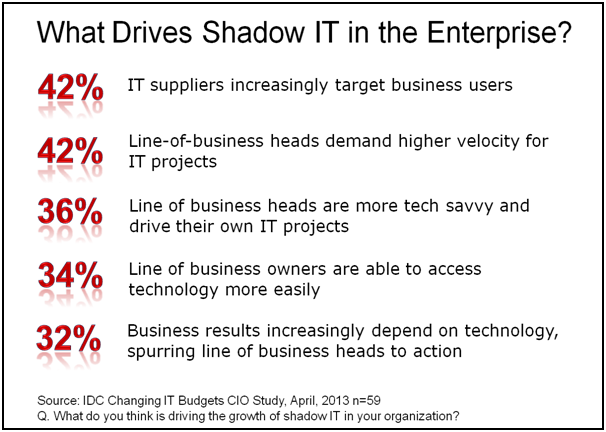 In 2011, Google came up with the term the Zero Moment of Truth (ZMoT). In the past, when people purchased B2B products, they would go to the supplier and get all of the information from them, they would then make a purchase (First moment of Truth) and experience that product and service (Second Moment of Truth). Now there is this new research phase, where people will do research on the product and service they intend to buy. They will then move to purchase, having consumed content, blogs, video etc. They may even have become pretty expert in the products or services they intend to buy. There’s a great two minute video on ZMoT from Google. Thanks Joe Edwards @BrandJoe for bringing this report to my attention. Really keen to get your comments, agree or disagree, help shape the debate. What are your own experiences in your customers and prospects? Please leave any suggestions or comments below. 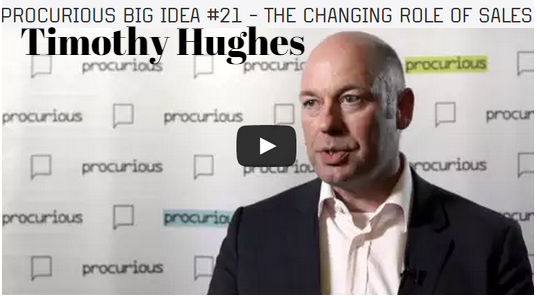 Recently attended the Big Idea Summit ran by Procurement Social Network, Procurious. During the video I discuss the view from the Analyst firm Forrester that 22% of B2B Salespeople jobs will be lost by 2020; replaced by search engines, Youtube vides etc. also write about it in this blog. Taxi for the B2B Salesperson? Taking those facts further, at the recent Forrester’s Sales Enablement Forum , a study by Andy Hoar, Principal Analyst at Forrester, revealed that he expected 22% of B2B Sales jobs go by 2020. With Enterprise purchases taking place online this means the traditional B2B sales person is being replaced by Search Engines, YouTube, websites etc. 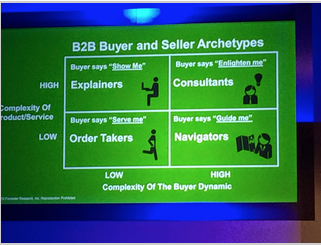 The Diagram top left is Forester’s view on how what will replace the B2B Sales person. Are Things Really that Bad? This means that 90% of the research has taken place on-line. This conversation, (let’s assume it’s an exception) seems to back up the Forrester research, but could Forrester be understating things? In my experience in talking and working with companies we (in sales) have reached a tipping point. What Does that Mean for us B2B Sales People? Not sure if my friend had realised but she had gone from being a (in my opinion a highly respected) B2B Salesperson to an Order Taker. Nothing wrong in being an order taker, but when most of us started out on the road into sales, it wasn’t where we want to be. So Where do we go from here? I was once given some advice when it comes to significant moves in the market; “Move up, Move down or get out”. You can apply that to this situation. 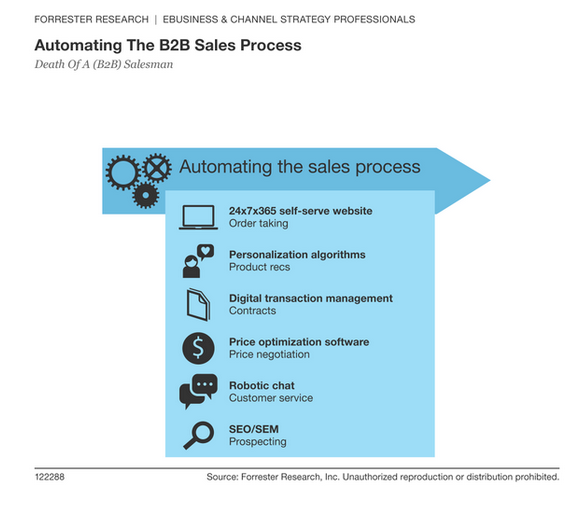 The “Boston Square” on the left from Forrester shows how Salespeople and Sales organisations need to organise themselves as the market shifts to be completely buyer centric. With people getting more used to, and more comfortable with, buying (high value) B2B products over the web. With technical details, pricing, and product demos all available over the web, I can see a continuation of the commoditisation of the buying process. Sales people need to raise their game and while not be Thought Leaders they need to be a “beacon” in their given niche and or industry. If you are in sales, here is some good news, or at least a solution. What Does a B2B SalesPerson Need to do So They Don’t Become Irrelevant? Let’s look at that Data from Forrester in more detail (Just remember this is US data, as I write for a global audience, you can question this is the same in your geography, but in the UK where I live, where the US leads, the UK will follow). See panel below. It’s all doom and gloom apart from one area. Let me repeat what Forrester say …. Companies need to undertake a major transformation of their sales force. One tactic of that will be to undertake a Strategic Social Selling program (starting, obviously, at the top management) and employee advocacy program across your organisation. Forrester says the biggest impact will be on sales reps at wholesalers and distributors, but less so in such industries as high-tech manufacturers and providers of healthcare technology. Another trend contributing to the shift to self-service e-commerce is the increased efficiency online order brings to sellers—for example, through lower employee costs and overall operating expenses, Forrester says. “A company we interviewed estimates that it reduced its cost per order from $24.48 per transaction via a salesperson-driven paper-based ordering system to $1.50 per transaction via a customer self-serve e-commerce,” the report says. Forrester also notes, that B2B buyers will continue to purchase through sales reps in certain situations, such as for complex products and systems procured across large enterprises. Yet even in these situations, communications between buyer and reps are going more digital, Hoar says. “They’re increasingly conducting those negotiations with salespeople by way of digital means such as email, [live] chat, and collaborative software as opposed to via a traditional phone call,” the report says. For example, I’m aware of a company that purchased a $350,000 product via Skype, no face to face meetings took place. Tom Pisello: The ROI Guy: Death of a Salesman? Tom has an excellent blog, if you don’t follow it already.